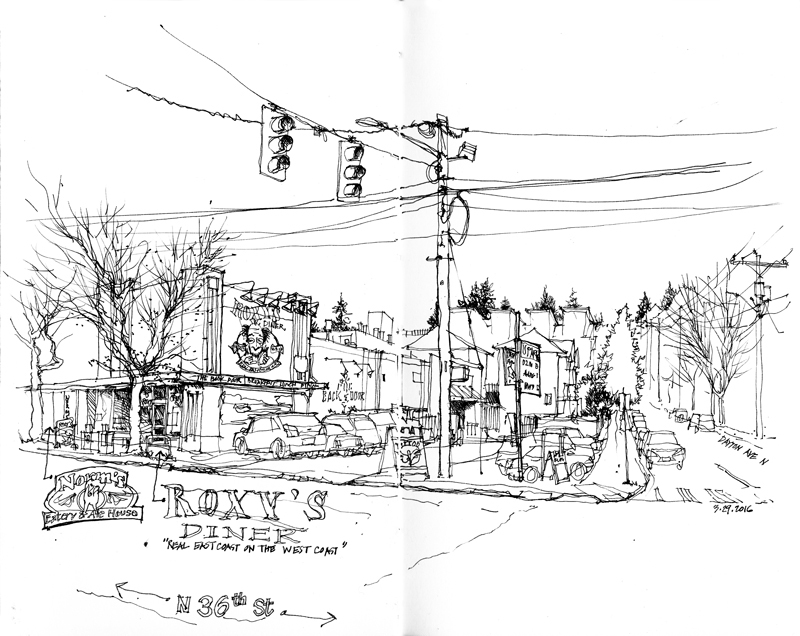 With a motto of: “Real Eastcoast on the Westcoast,” Roxy’s Diner is a New York style diner and deli in the Fremont neighborhood of Seattle offering all-day breakfast, bagels, and hot pastrami sandwiches. Also on Roxy’s extensive menu is its famous Restraining Order—a shot of Jack Daniels or Jameson with a slap from your server. Just to the north is Norm’s Eatery and Ale House, which is a dog-friendly bar and restaurant.